My 5-year-old son came home from preschool a few weeks ago and proudly announced that knew “green” and “mean” are rhyming words. He fancied himself quite the poet and rattled of a few (dozen) sets of words that rhyme, including some very questionable adjectives. 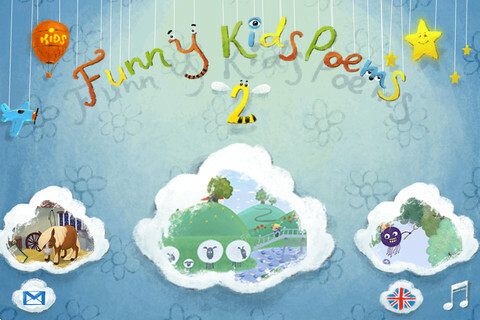 Because learning about rhyming is a key step in the early reading process, Funny Kids Poems 2 is the perfect app for your 2- to 4-year-old. 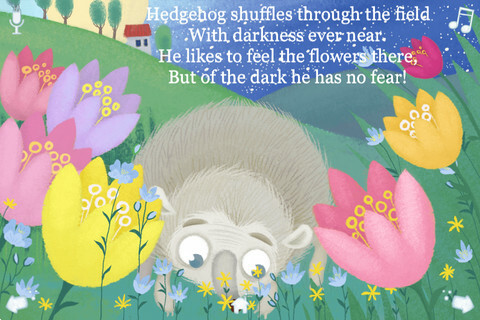 It features 12 four-line narrated poems with simple and commonly used words, and an accompanying interactive graphic to set the scene. 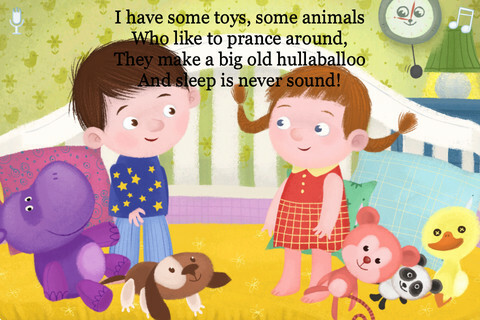 Most of the mini-rhymes are illustrated as being about funny animals, and I know my son appreciates a silly-looking dog or talking pig. Each page has small interactive surprises like a blooming flower or a moth blowing kisses. The language mode can also change the English narration to Russian, which is a huge plus for bilingual kids. My mini Robert Frost thought this game was the bee’s knees (rhyming ability runs in the family, apparently). He giggled at the words and pictures and walked around for hours pointing to household objects and naming off rhyme pairs. Incidentally he was pretty stumped when he got to the fruit bowl fully stocked with oranges. That said, I can definitely see that kids not much older than him would get bored quickly with the intentional simplicity of the app.